And there's more: for each form that is filled out, a new deal will be added to your CRM. This enables you to follow up on your leads quicker. All you have to do is add an Unbounce form to your website. How to set up your Teamleader integration with Unbounce? Navigate to Teamleader Marketplace or click on your profile picture in the right top corner > Integrations. Here you can use the search bar to find the Unbounce integration. If you want to discover other Web2Lead integrations, click on the "Web2Lead" category in the sidebar. To integrate Unbounce with your Teamleader account, choose Add. Once you've made the connection, choose the provider you want to use to create the form. When creating a new form, you can choose between a number of ready-to-use templates or using your own design. Name your template and you're ready to start. Templates usually already provide one field at least. To add more fields, double click on them. A pop-up will appear with all the possible fill-in fields that can be added to the form. Using single line text fields, f.e. splitting First name and Surname, will be the best way to keep your data clean. 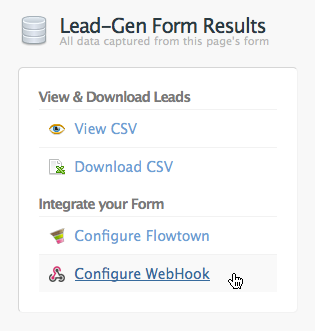 Save your form in order to view the Webhook URL that connects Teamleader with your Unbounce account. 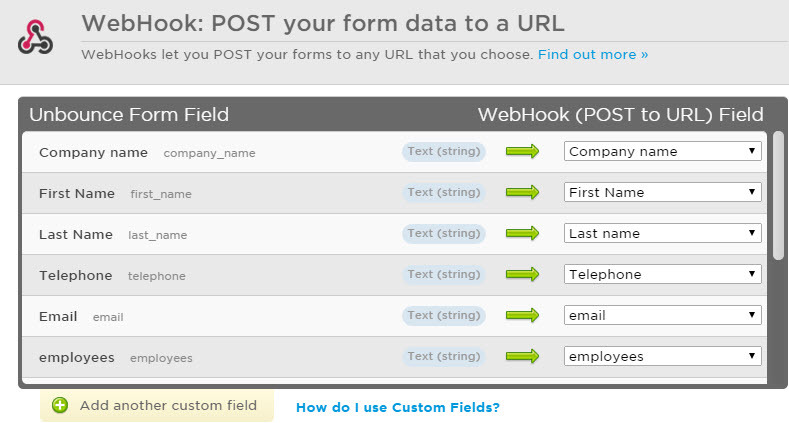 Copy the link and go back to your Unbounce account for an overview of all your forms. 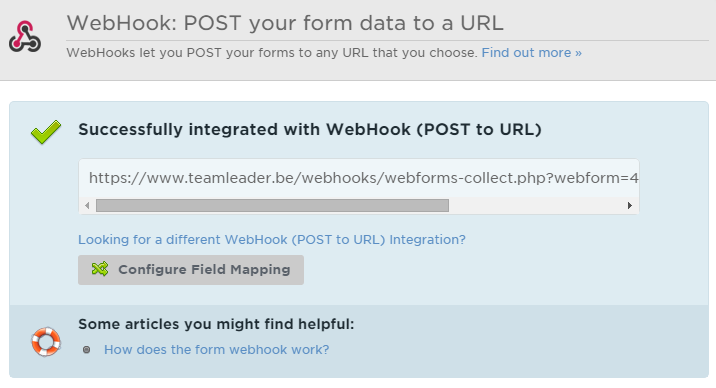 Click on the forms you want to link to Teamleader and select "Basic Form Integrations" > Configure WebHook. Now you can paste the link you have copied from Teamleader into the provided field. If you want to edit your Webhook or if an error message occurs after entering the Webhook link, click "Field Mapping". Check if all the fields are linked to the correct name. Are there any fields in the form you don't use? Tag them as "Not mapped".